RUSSIA. Moscow. May 9, 2015. 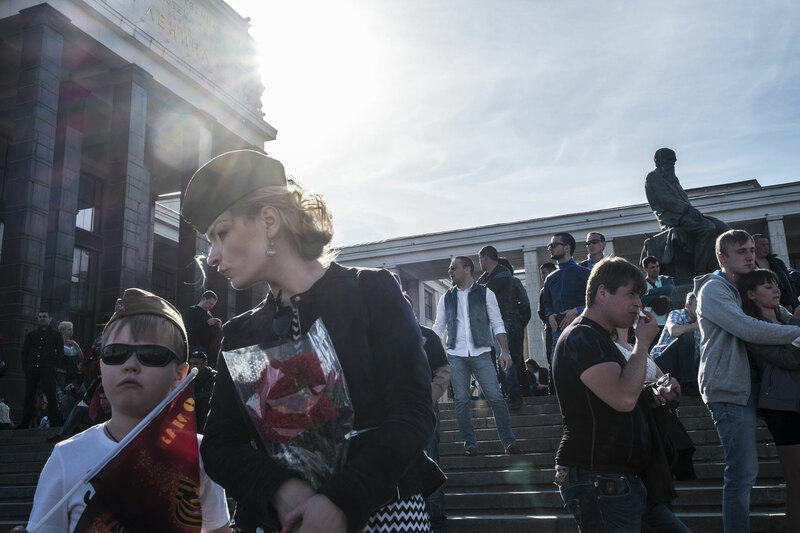 People celebrate the 70th anniversary of the Vicotry Day on Biblioteka Imeni Lenina Plaza.